ASUS NovaGo (TP370) with Qualcomm Snapdragon 835 Mobile PC platform announced, World's first Gigabit LTE-capable laptop. ASUS CEO Jerry Shen today announced ASUS NovaGo (TP370) at the second annual Snapdragon Technology Summit in Maui, Hawaii. NovaGo is the world's first Gigabit LTE-capable laptop designed for connected mobility, providing users with an always-on, always-connected experience. This ultrathin and light convertible laptop is powered by a Qualcomm Snapdragon 835 Mobile PC platform, and features a Gigabit Snapdragon X16 LTE modem for download speeds exceeding that of typical home Wi-Fi. It has up to a 22-hour battery life with over 30 days of modern standby, and a built-in eSIM that ensures seamless connectivity. Its 10-point multi-touch display features ASUS Pen support; ASUS Pen has a 1024-level pressure-sensitive tip that detects every nuance of movement, enabling users to write and draw just like they would on paper, notebook, or canvas. 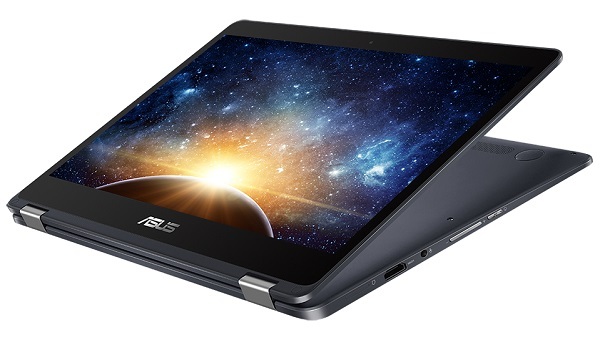 A fanless design and the small 10nm Snapdragon 835 Mobile PC platform allowed ASUS engineers to keep the weight and dimensions of the 13.3-inch NovaGo down to a minimum - it weighs just 1.39kg with an incredibly thin 14.9mm profile. NovaGo has a premium feel, with a sandblasted Sky Grey finish and brilliant diamond-cut edges. NovaGo has a precision-engineered, durable 360° multi-gear hinge with a silky-smooth action to give users the freedom to use it any way they like. NovaGo features Microsoft Windows 10 S to provide users with a secure and familiar computing experience. Windows 10 provides the Start taskbar, Action Center, and File Center; plus new features like Windows Ink, Windows Hello, and Cortana. NovaGo has a Snapdragon X16 LTE modem for lightning-fast download speeds of up to 1Gbps - 3X to 7X-faster than average broadband speeds. It allows users to download a two-hour-long movie in around 10 seconds. bands. Four antennas ensure ultrafast connectivity through LTE Advanced Cat 16 cellular networking, while dual-band 802.11ac Wi-Fi and MU-MIMO technology provide download speeds of up to 867Mbps.